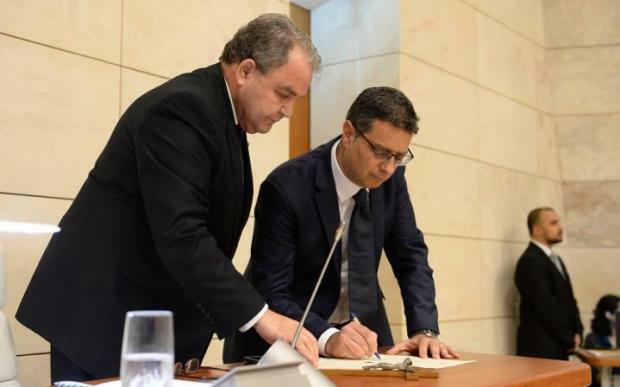 PN leader Adrian Delia became a member of Parliament this evening and took his seat next to Opposition leader Simon Busuttil. Dr Busuttil is expected to resign from Opposition leader on Friday, a post Dr Delia will also be taking up. Shortly after taking his oath of loyalty, Dr Delia again thanked former MP Jean Pierre Debono, who had given up his seat, enabling a casual election in which Peter Micallef was elected. Dr Micallef resigned his seat shortly after taking his oath of office. The new PN leader also thanked Dr Micallef for his willingness to give up his seat, as well as his predecessor as party leader Simon Busuttil for his service. He thanked Prime Minister Joseph Muscat for moving the motion proposing his co-option to the House and his family. Dr Muscat congratulated Dr Delia on his accession to Parliament, and expressed his intent to work together with the Opposition for the good of the country.